Dr Manish Raj is an Endoscopic spine & Pain Medicine consultant at Spinomax Pain & Spine Clinic. He is an energetic & compassionate medical professional believes in the implementation of evidence-based advanced medical technology for the treatment of human oldest nemesis ‘PAIN’. Until recently patients with condition like Low Back Pain, sciatica/slip disc, Neck pain/ Cervical radiculopathy & nerve pain had to look for doctors, who could help them get rid of pain, but unfortunately patient had to suffer due to conservative management with very low outcome & higher failure rate of open spine surgery. Today With the advancement in science, these conditions can easily be treated with minimally invasive spine procedures without any stitches or cutting of tissue by doing BAND-AID procedures. The advantage of minimally invasive procedures lies in its better results, higher accuracy, no tissue destruction or scaring, day care procedure & faster rehabilitation. 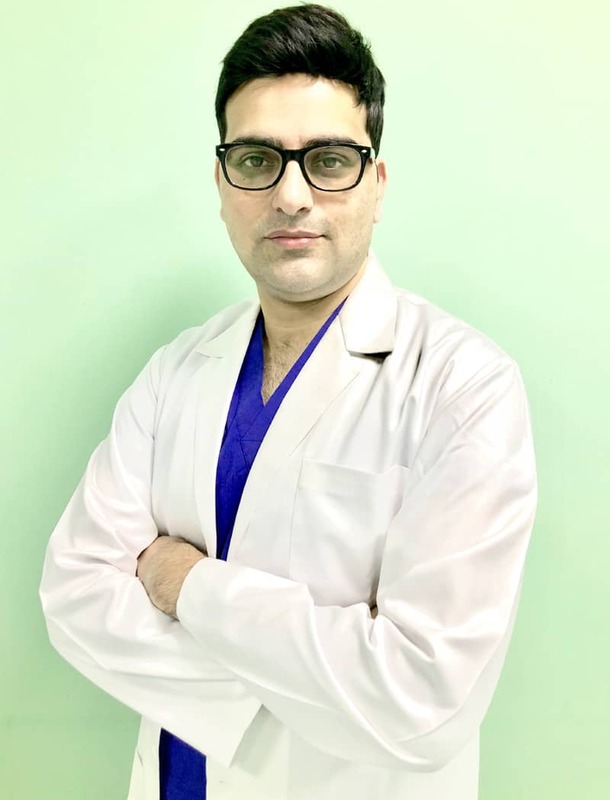 Dr Manish Raj is credited with starting the Endoscopic Spine & pain centre at Jaypee hospital, Yatharth super speciality hospital, Bensups Cygnus Superspeciality Hospital & Cygnus Orthocare Hospital in Delhi/NCR. He is one of few specialists in India performing Percutaneous Endoscopic Discectomy by different techniques (transforaminal inside out, outside-in, interlaminar, stenosis decompression) & Percutaneous spine fusion under local anaesthesia for better results. He has many international & national research publication on minimally invasive techniques. He is visiting faculty at medical institutions & conferences internationally. Dr Manish also involved in advanced stage training of doctors for endoscopic spine surgery.